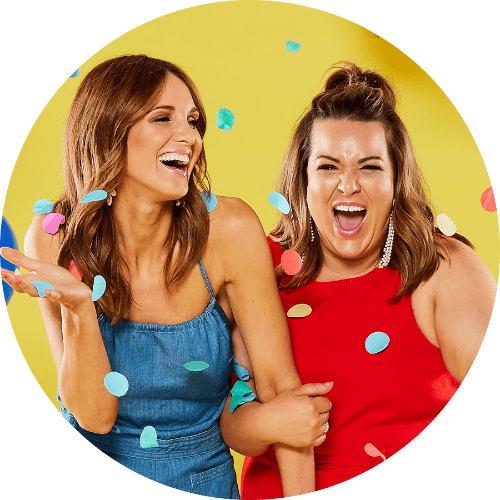 Welcome to part 2 of our Adelady Great Southern Rail adventure! You can find out all about our incredible journey on board the Indian Pacific from Adelaide to Perth HERE. By now, we’ve waved off the new friends we’d met on the train and re-entered the “real world” in Perth. Next stop? Rottnest Island! We’d heard tales of the wonderland awaiting us, and seen pictures of a selfie-loving fur ball called a quokka. 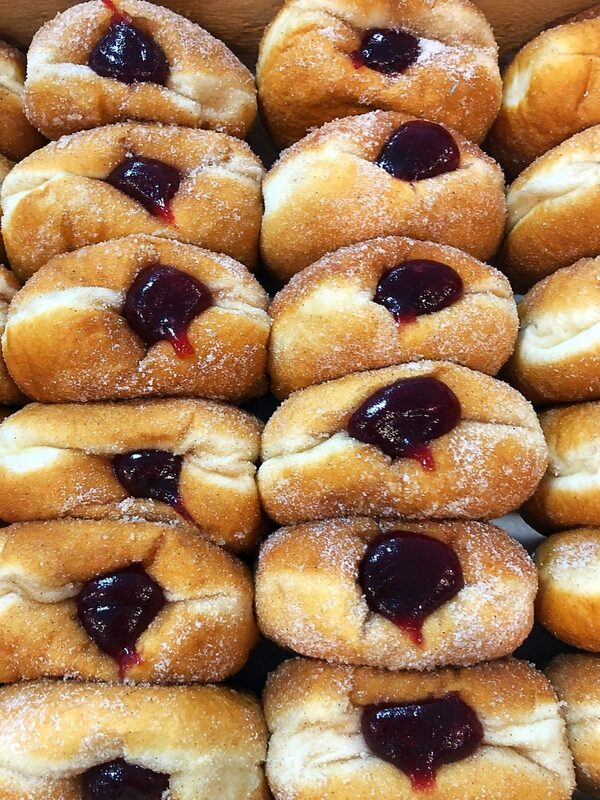 We knew that at some point we would be riding bikes and at another point, we’d be eating a jam donut. Other than that, we were pretty clueless. 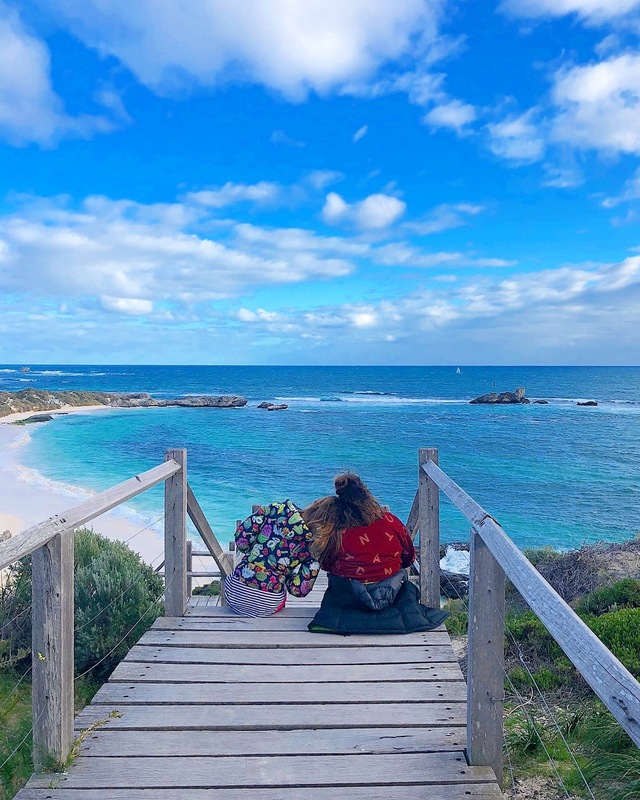 In the end though, none of that mattered, because NOTHING could have prepared us for the magical wonderland that is Rottnest Island. It’s a really easy journey from the B Shed Terminal in Fremantle (Uber drivers are super familiar with this trip) and there’s a delightful little cafe waiting for you with steaming skinny lattes if you happen to be on an EARLY trip. You can book your journey and package in advance HERE, so when you arrive you’re all set to jump on the boat. 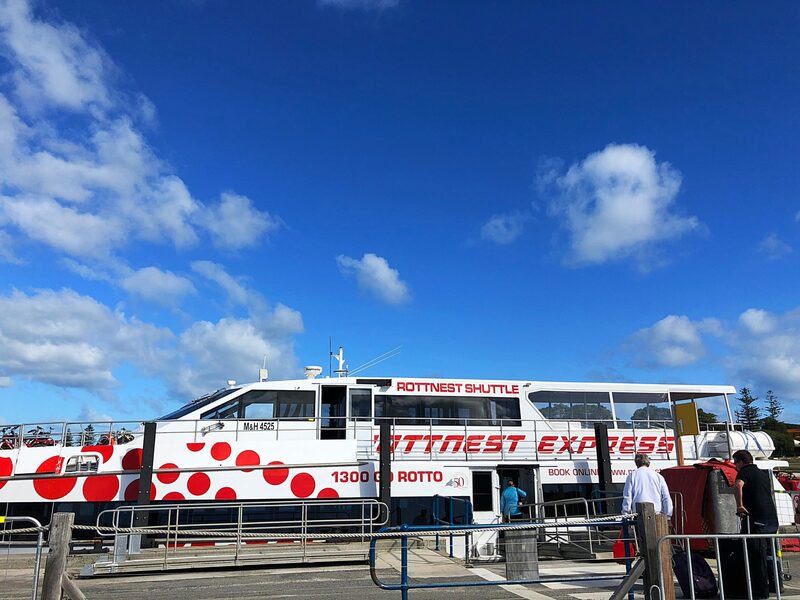 It only takes 25 minutes on board the super comfortable and very stylish Rottnest Express and you’re there! FIRST IMPRESSIONS: Rottnest Island is spectacular. It has the kind of beauty that is usually reserved for postcards. 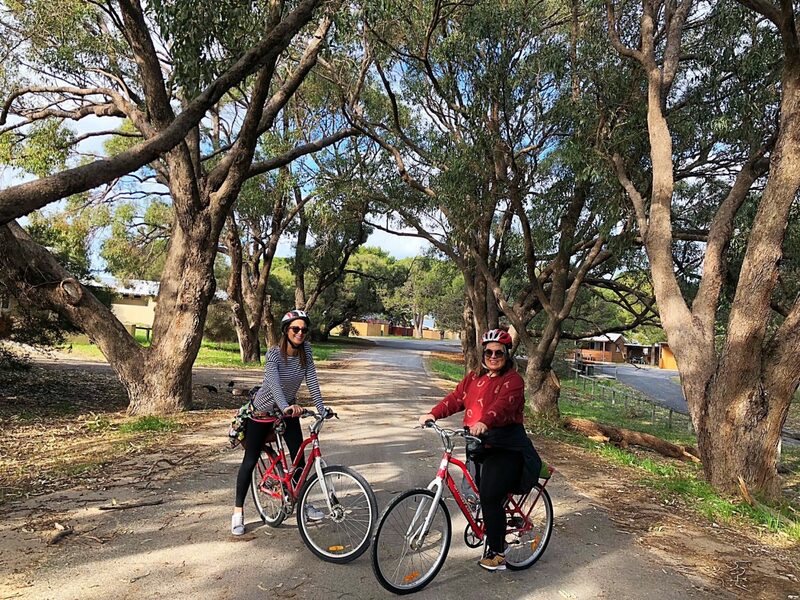 You arrive in Thomsons Bay which has white sandy beaches, a large green communal lawn and beautiful cliffs that hint at the incredible land behind them. We were stoked because it was seriously Instagrammable, ha! As soon as we stepped off, we received our hire bikes and helmets which were included in the ferry package — and our suitcases had been conveniently couriered to our hotel already (all part of the service). Time for the three of us to ride around the island! … ok. Confession time – we only picked up two of the three bikes we’d hired because one of us has never quite mastered the whole “it’s just like riding a bike” concept. Here at Adelady, we definitely don’t name and shame so we’ll just give you a hint. Her name starts with L and ends with AUREN. 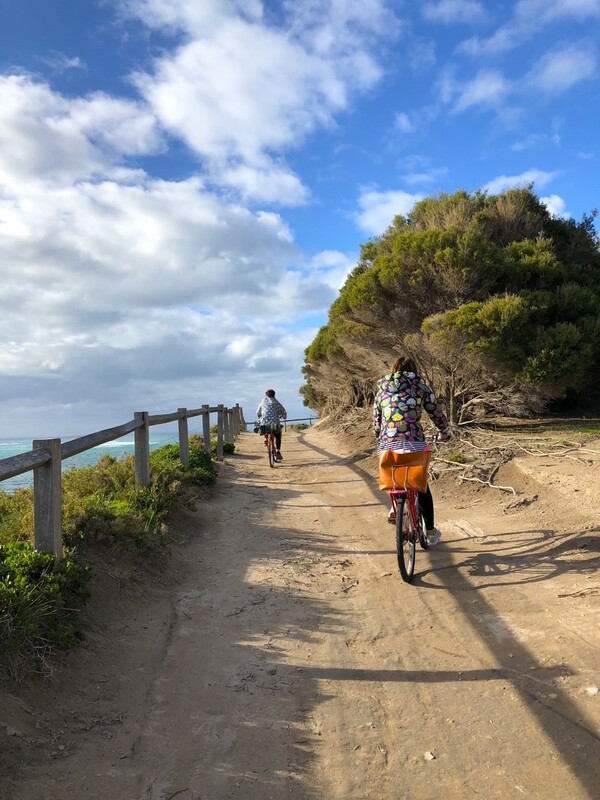 Luckily, the best thing about Rottnest is that it doesn’t matter if you’re on a bike or just wandering along; you’ll be able to get from A to B. The circumference of the whole island is only 33km! In the first 45 minutes we had covered HEAPS. :: Met about fifty quokkas and attempted to have selfies with ALL of them! :: Had 3 bike accidents. It’s ok, everyone was fine! :: Went shopping at Indianic! Omg, this place has Camilla! Amazing. 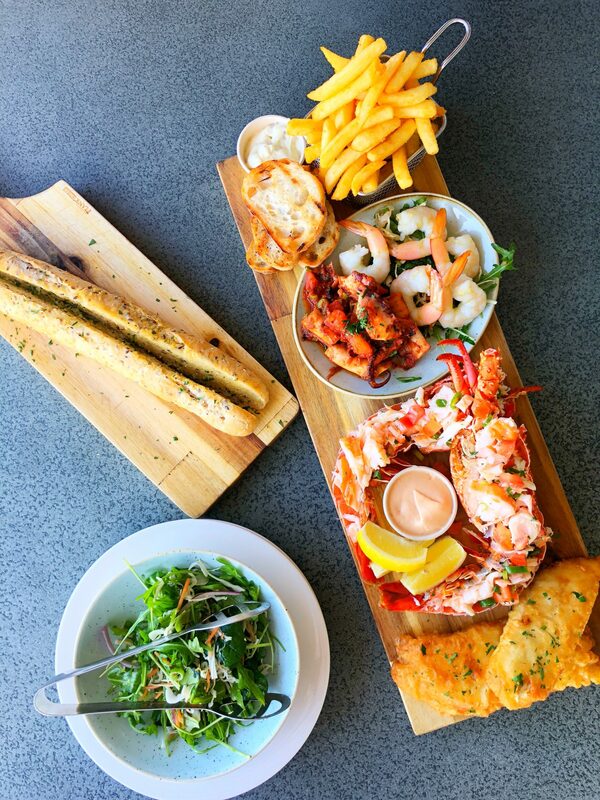 :: Booked a table for lunch at Thomsons and pre-ordered our fresh seafood platter! We were like kids in a candy shop, running around and discovering some of the amazing sights that the Island offers, all within a 1km radius! 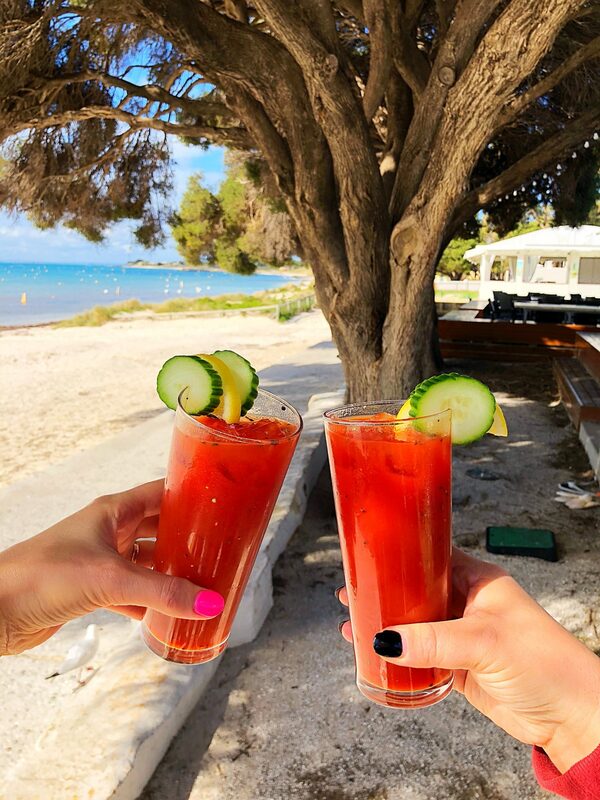 By the time the afternoon rolled around, we had JUST enough energy left to enjoy a quick Bloody Mary, before our pal Pearson had to head home to see her babies. Lauren and I took a few moments to wipe away our tears, and then headed back inland to kick our feet up and enjoy a delicious cheeseboard packed with local produce, before having an early night to do it all again the next day. 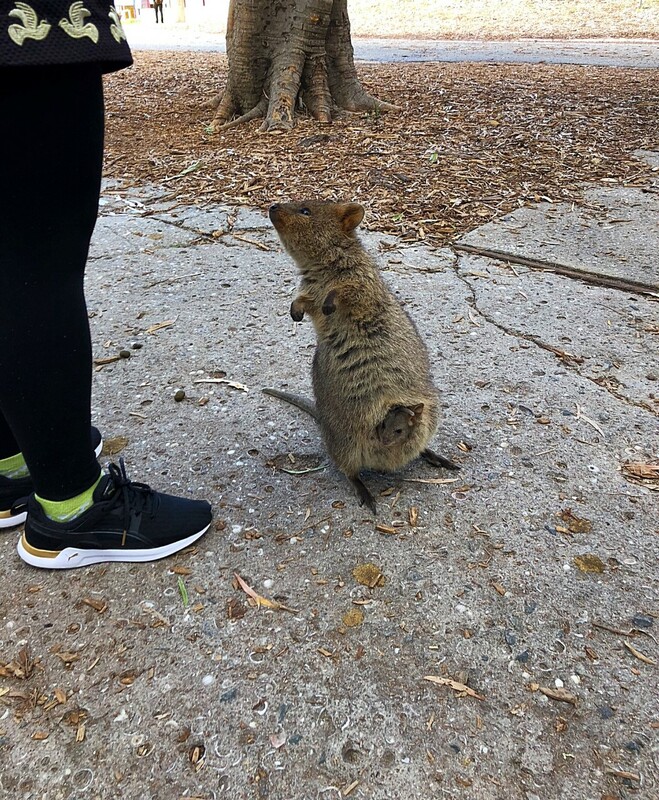 :: When a Dutch explorer first visited the island, he thought that the adorable little quokkas were actually giant rats — so he called it “Rat’s Nest Island”, which in Dutch translates to Rottnest Island. BOOM WHAT A FACT. 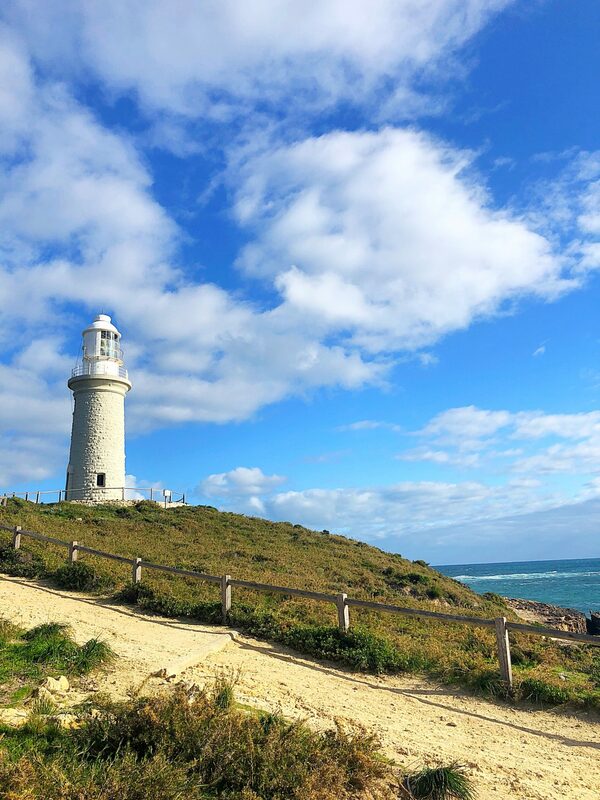 :: The first lighthouse on the island was built by indigenous prisoners over a whopping nine year period… only to discover when they had finished that it was 3 metres short and couldn’t be used! WE LOVE OUR FACTS. :: At the most Western point of the island, there is nothing to the left for over 6000km (until you hit Antarctica) and nothing to the right for over 8000km (until you hit South Africa). YESSSS MORE FUN FACTS. We also learnt that there was so much more on offer that we hadn’t even considered yet! 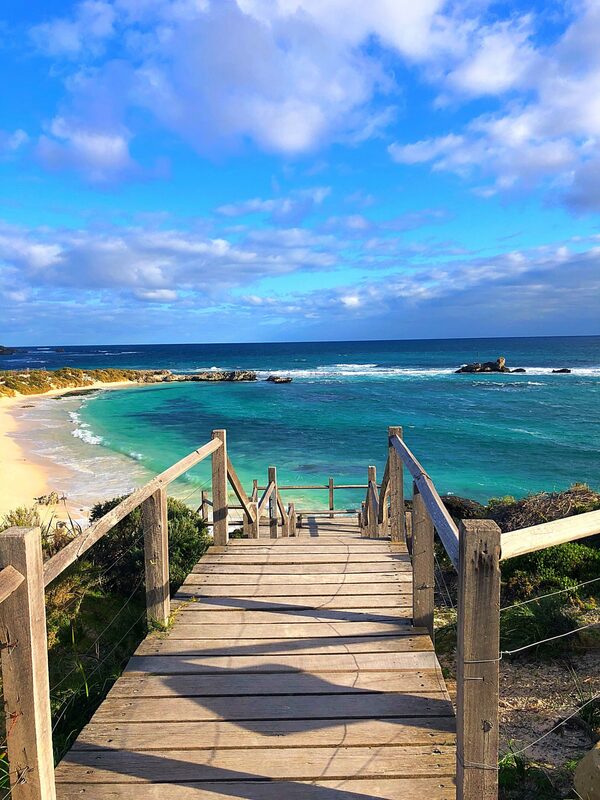 For all you surfer chicks out there, Rottnest Island has some amazing swells, and is considered one of the top 50 surfing locations in the world. Or perhaps keeping dry on a boat is more your style — there are 980 boat moorings around the island, and in Summer they are all full (with a 12 year waiting list, might I add… hiring a boat is probably your best bet)! 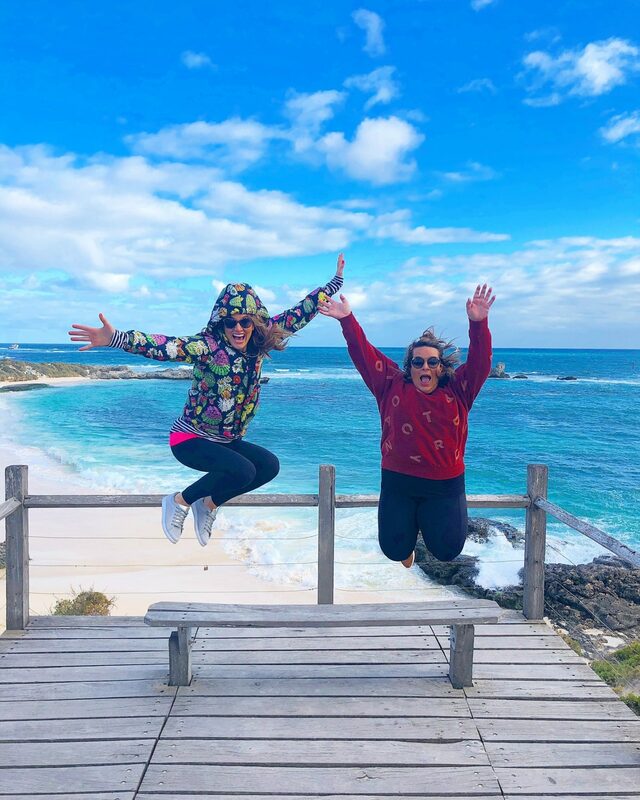 And for anyone looking to stick to the land, if you head over between September and November, Rottnest Island turns into the “Humpback Highway” which is great for whale watching. I think the thing that struck us the most is that we all loved the island for different reasons, which makes it the perfect holiday for just about anyone. For Hayley, she loved the family vibes and the fact that her boys would go crazy for the outdoor adventures (plus, her husband is a keen surfer — added bonus!). 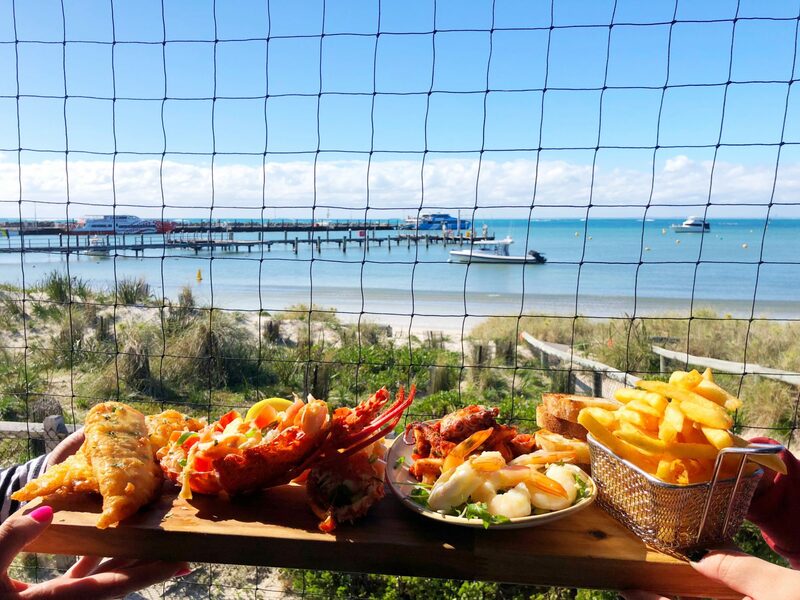 For Lauren, she could see herself sitting at the beach bars with a group of her friends, drink in hand and live music in the background as the sun goes down. And me? I loved it because it was a total and complete escape from reality, and an incredible reminder that sometimes the simple things in life are the BEST things. As soon as we were there I was filled with this burst of energy that I’d forgotten even existed — it’s been years since I’ve spent an entire day outside, riding bikes, running, exploring, walking, touring, and meeting new people. Besides taking zillions of photos, I didn’t feel the need to check my phone, or scroll through Instagram, or follow up on emails. It was so incredibly refreshing. Families, singles, friends, couples — it doesn’t matter. I KNOW that you’ll love this little magical wonderland, just like we did. Next PostWIN the ULTIMATE vegan treat pack thanks to Totally Vegan By Charlie! YUM!